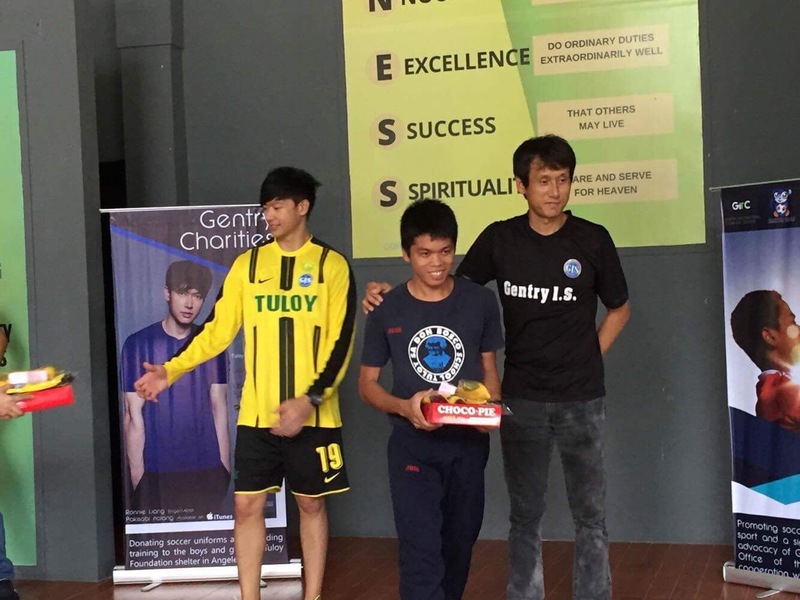 Ronnie Liang’s Journey to Hale and Hearty Living. Holistic Integrative Care Center (HICC), a special clinic which promotes natural healing through proper diet and conducts different types of therapy to activate the self-healing of the body, has chosen singer-actor Ronnie Liang as their new ambassador. 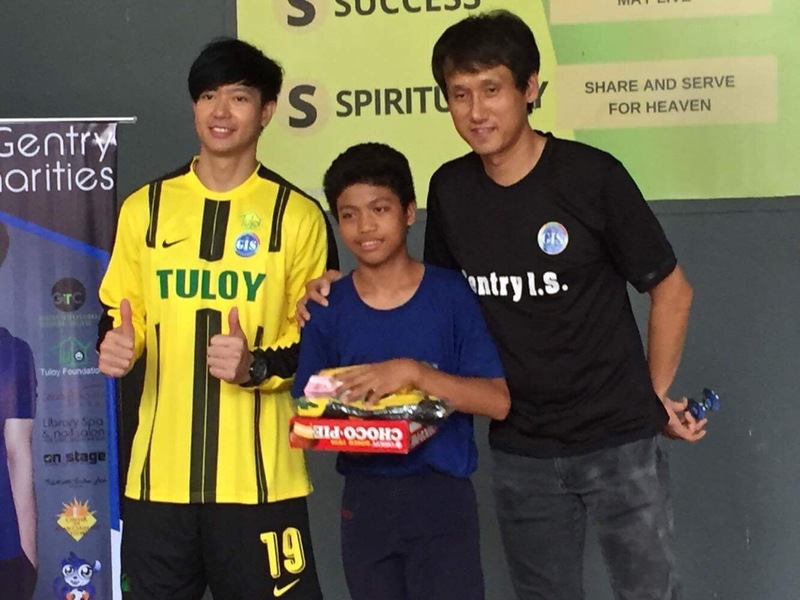 Ronnie Liang signs 3yr contract/ MOA as HICC Ambassador. 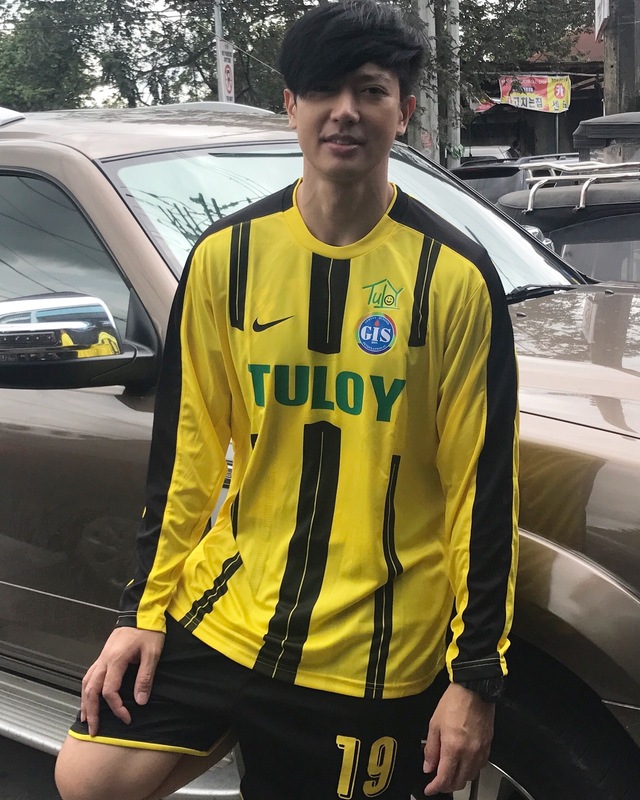 Ronnie Liang, who rose to fame with his number one hit song “Ngiti”, is currently busy hitting the gym and embodying the healthy lifestyle. Of course, it wasn’t an easy journey for him but last 2013, after hearing comments and being conscious about his weight, Ronnie had decided to go on a strict diet. This earned him a spot in the critically acclaimed indie film Esoterika Maynila where not only his talent for acting developed but also his healthy body. According to him, he gave up eating fatty foods like pork and beef and focused more on eating vegetables, fruits , chicken, and fish. He also gave up eating rice and his favorite part of the chicken, the skin. The result? 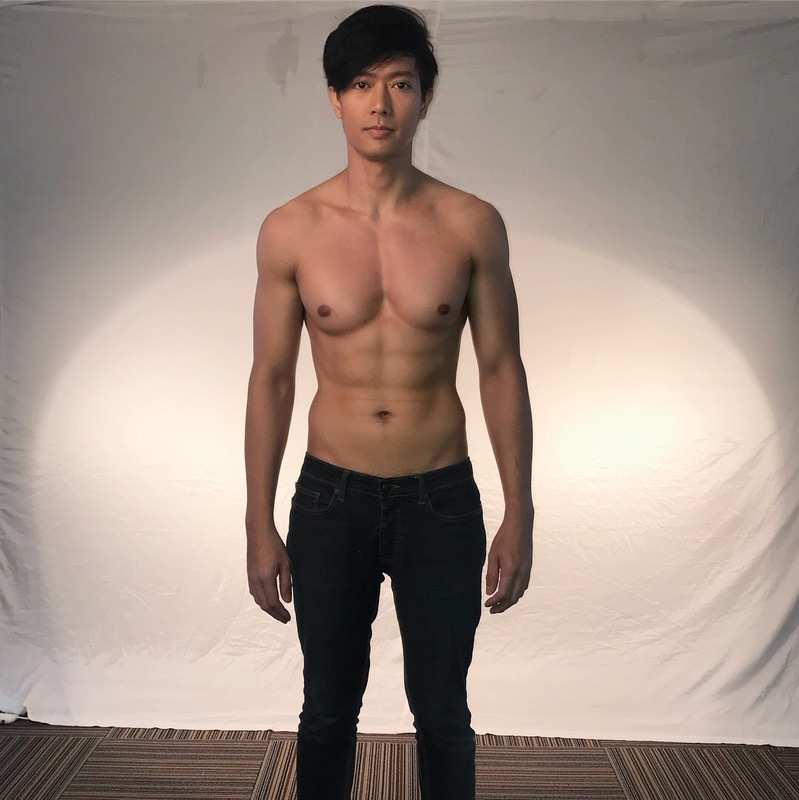 A healthier and better Ronnie Liang with 6 packs abs. The success of his great body is because of his commitment and dedication. 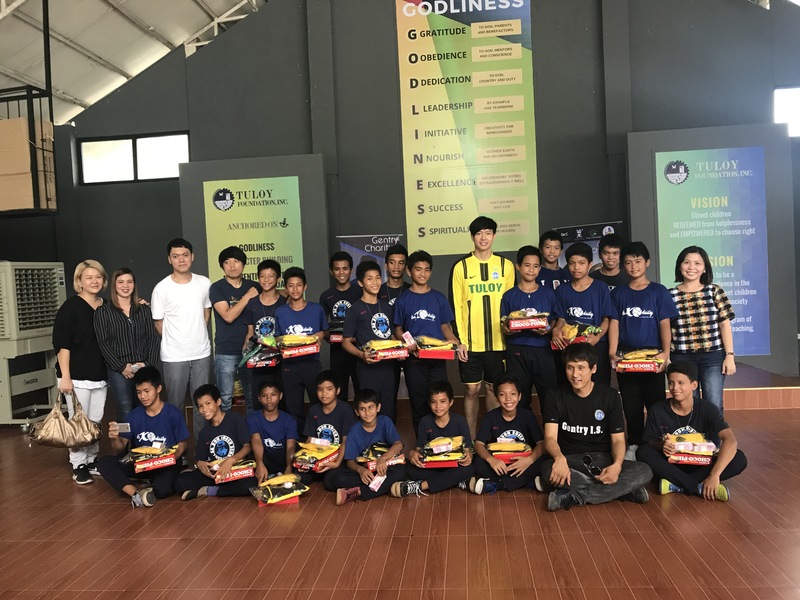 Because of this, HICC took notice of him and made him their new ambassador to promote a hale and hearty living by using an integrative approach to heal different types of ailments and to help achieve a healthier body. Since then, a lot of management have been pursuing Ronnie Liang to feature his remarkable journey towards healthy living for their magazines, aesthetic centers, and gyms. 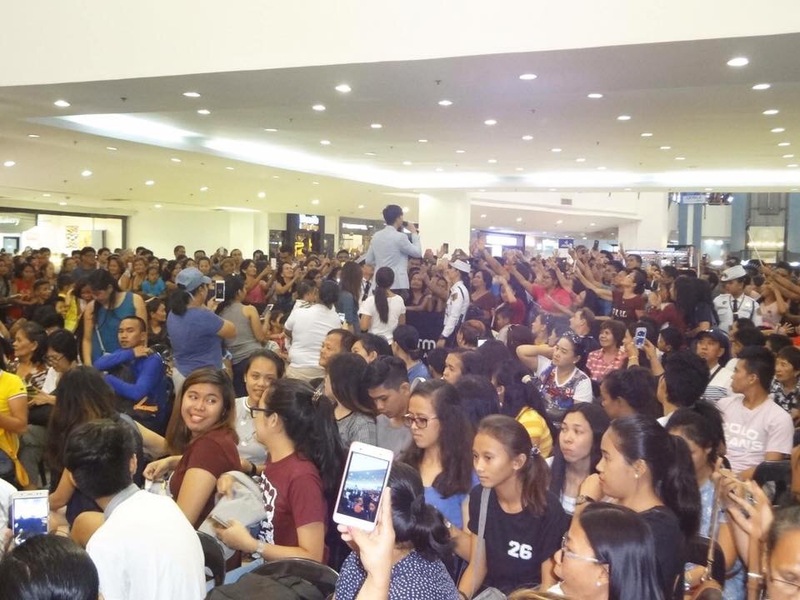 Thankful for his ever-supportive management team who never stopped believing in him – Boss Vic, Boss Vicent, and Ma’am Veronique – the young singer-actor, whose fifth studio album is to be released under Viva Records this year, recently renewed his contract under Viva. Things are looking good for Ronnie Liang and we’re pretty sure you’re excited as we are for his upcoming projects. Ronnie Liang serenaded you with the breathtaking lyrics of “Ngiti”, probably thrilled you when he starred in the critically acclaimed indie movie Esoterika Maynila where he won Best Actor and of course, witnessed victory when he bagged the Best Actor in a featured role in Bituing Walang Ningning: The Musical that was held in Resorts World Manila. 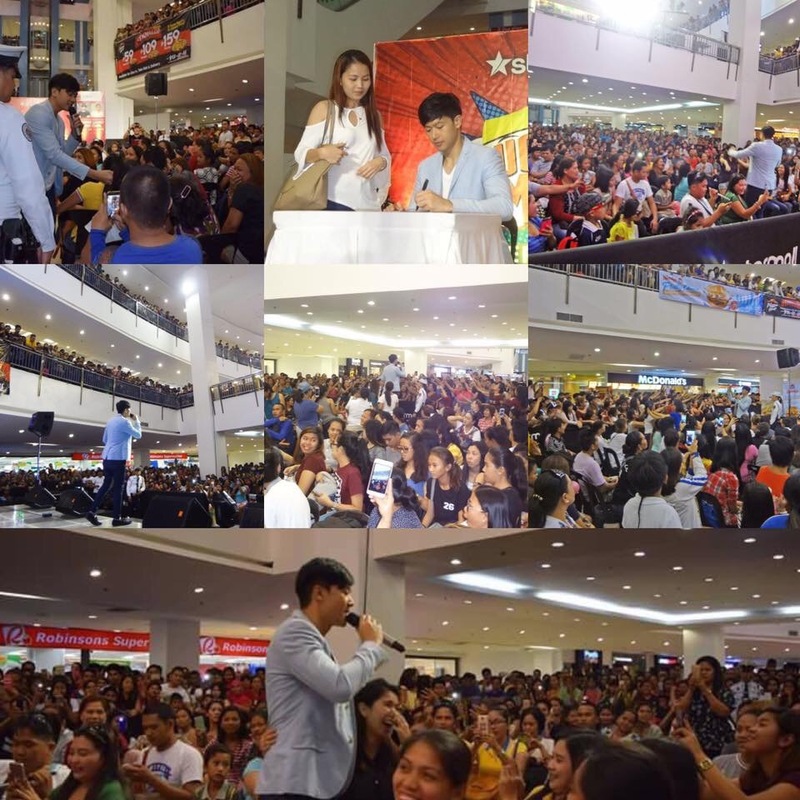 And just last year, he was a part of the movies 100 Tula Para Kay Stella and Fan Girl/Fan Boy under Viva Films which further prove that he is one great talent to watch out for. 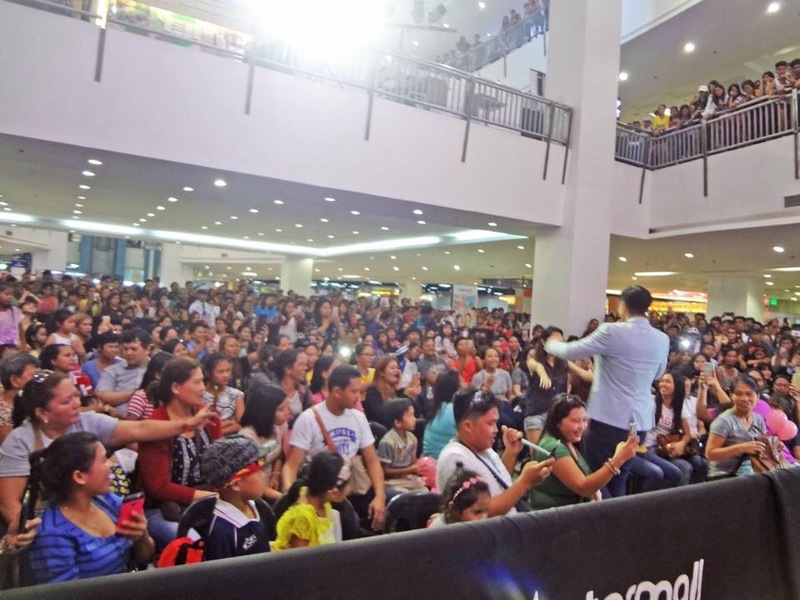 Managed by Viva Artist Agency, he has then become a man with many faces and superb talents, entering the scene with such flair and becoming one of the most sought after singers in the country. 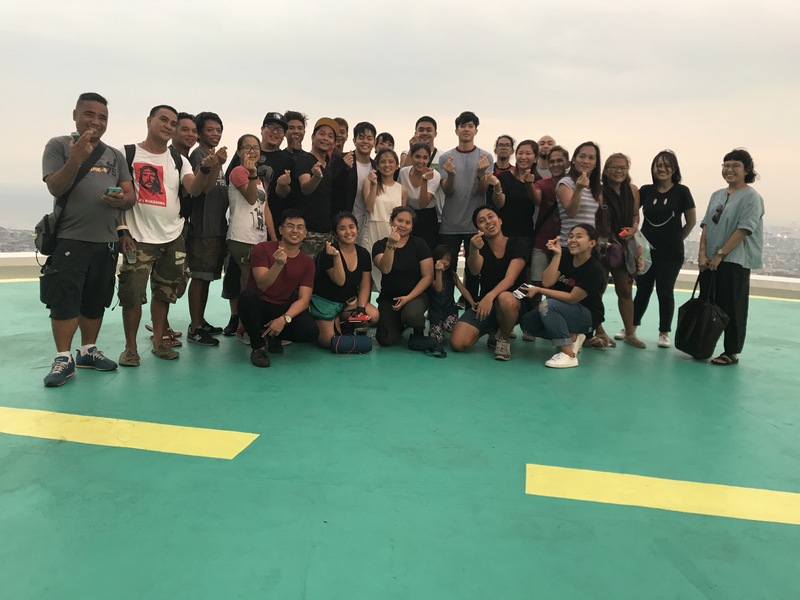 The multi-awarded singer turned actor is currently attending an acting workshop under the supreme supervision of Director Rahyan Carlos of Star Magic, honing his acting skills and perfecting his craft. The entertainment world may be tough but Ronnie is one fighter and ready to take on whatever challenge is thrown at him. 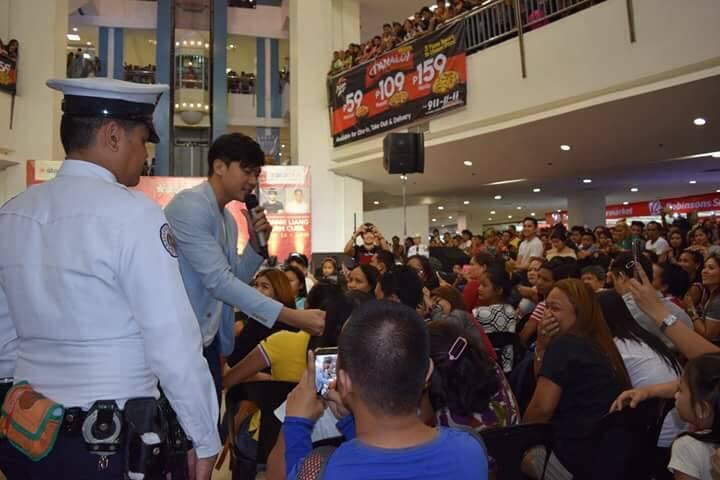 With this, he believes that he can offer more to his audience and be recognized not just for his dreamy voice but for his acting prowess, too. Presently, he’s working on his fifth album slated to be released in the first quarter of 2018 under Viva Records. 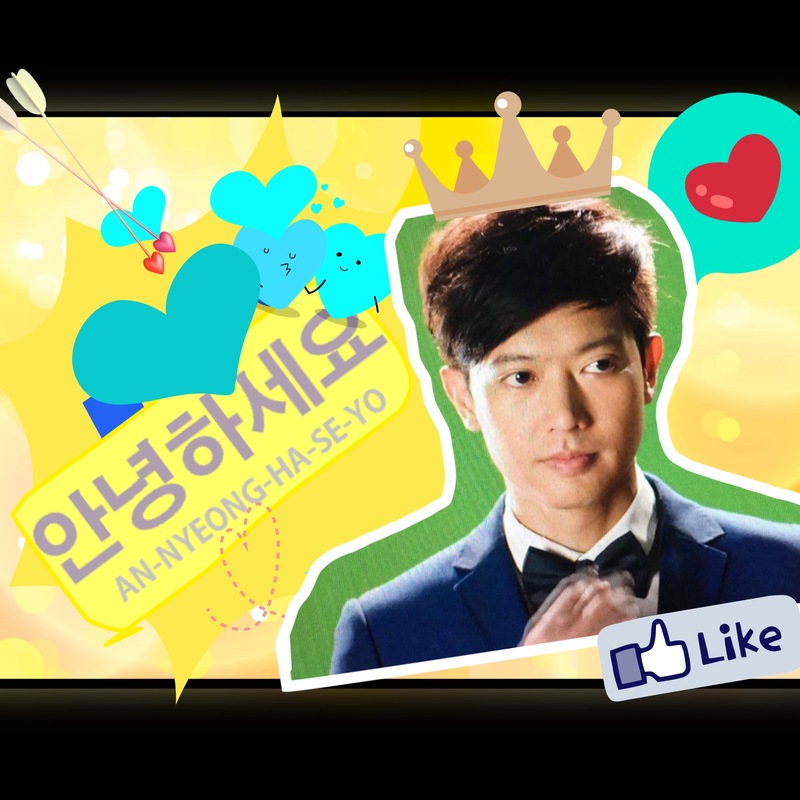 This much awaited album is the metamorphosis of a man ready to face and accept all changes thrown at him. 2018 is the year Ronnie Liang looks forward to and though there aren’t any official announcements about his promising acting career, he believes that Viva is cooking up something for him that focuses not just on his singing career but on acting expertise as well. After all, the journey may be long for this balladeer but we’re pretty sure what awaits him in the end is the ultimate gift and we’re so ready to join him in this unforgettable journey of his. 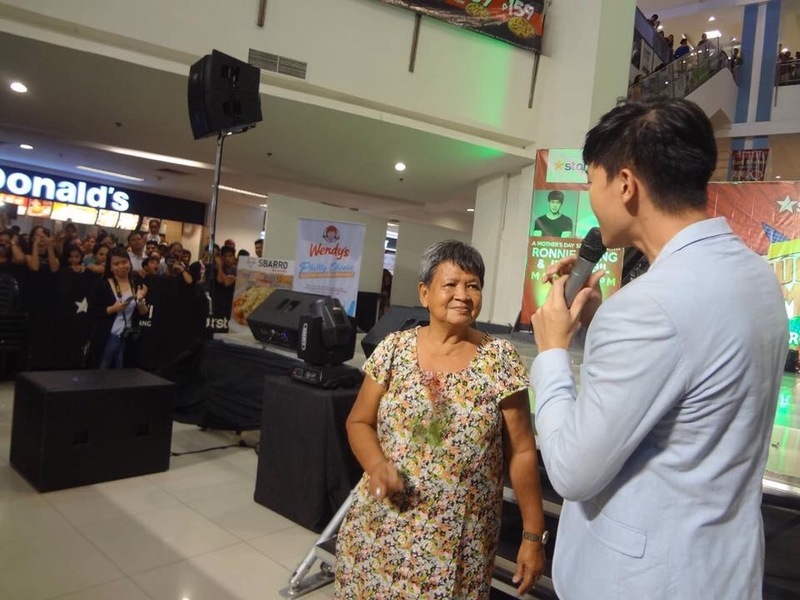 Staying true to his original roots, Ronnie Liang is forever grateful for Boss Vic Del Rosario, Boss Vincent & Ma’am Veronique of Viva Management for believing in his talent and continuing support to his career. 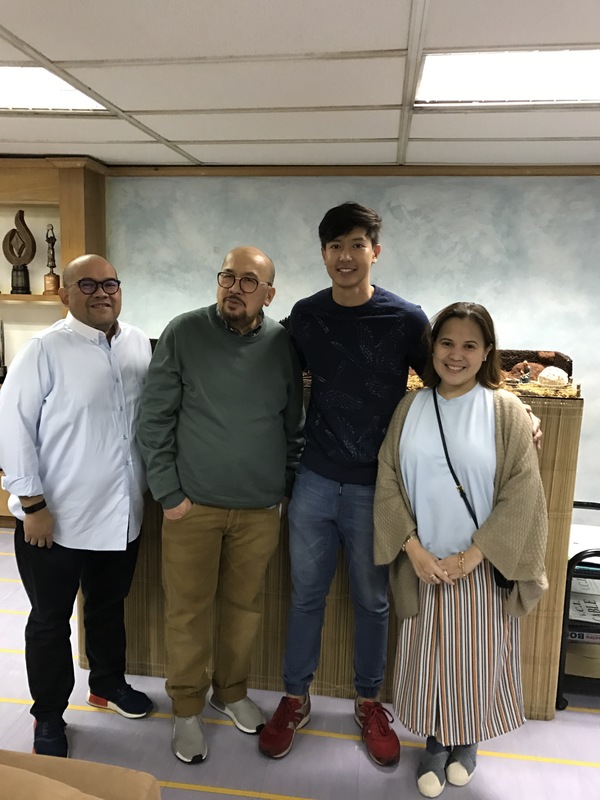 Ronnie Liang has renewed his management contract with viva artist agency & He is looking forward with more shows, movie project & album with them. 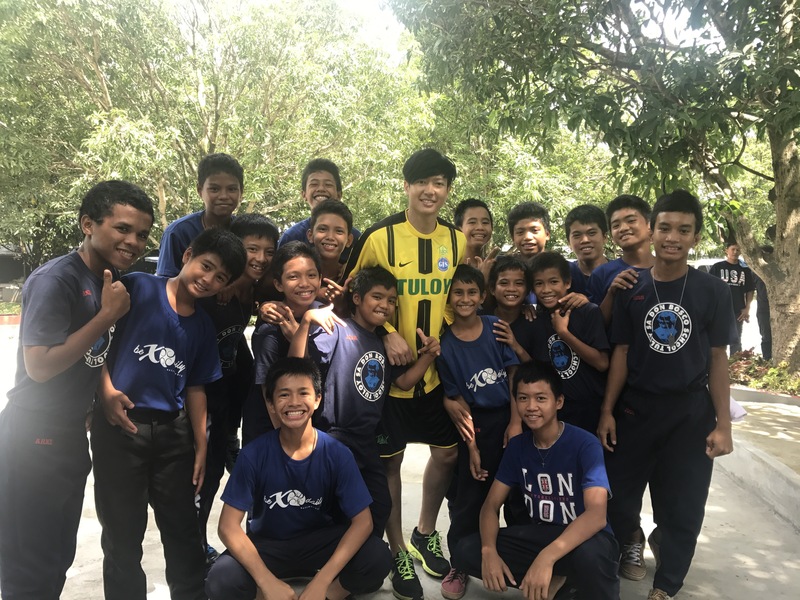 (August 3, 2017) Singer and Best Actor Awardee Ronnie Liang Brought smile to the faces of tuloy foundation orphans. 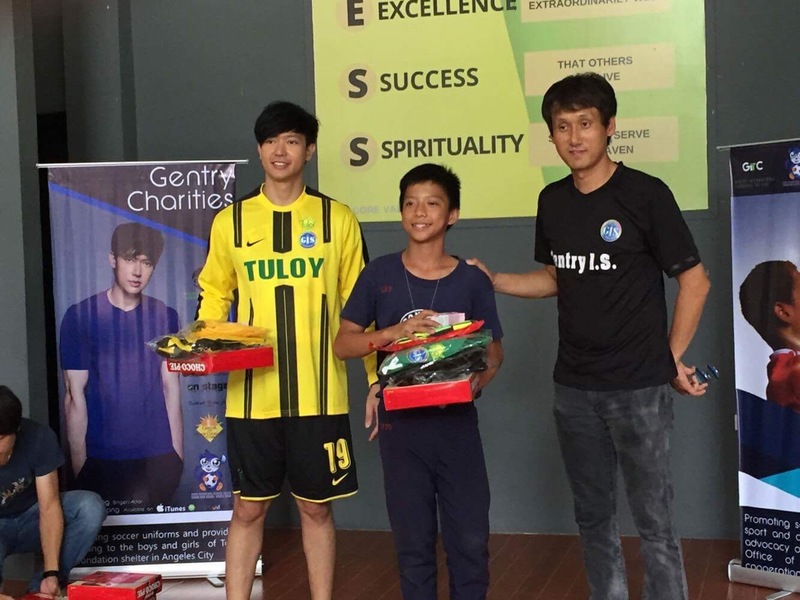 Ronnie Liang a Gentry Charities Ambassador visited tuloy foundation in Angeles City Pampanga (Tuloy Angeles) His Hometown. 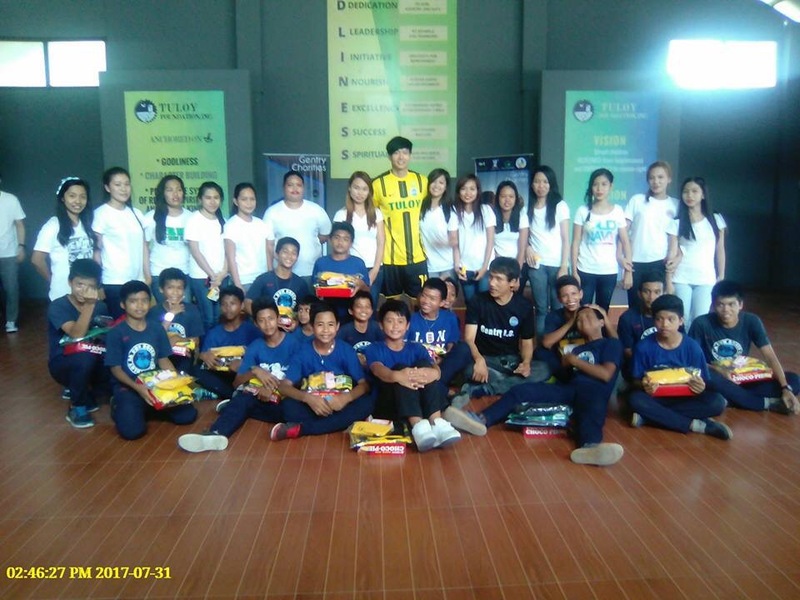 Ronnie Liang a born kapampangan together with Gentry Charities Board of Director distributed food, sunblock, soccer uniform and rendered a song number for the children & volunteers of tuloy foundation. 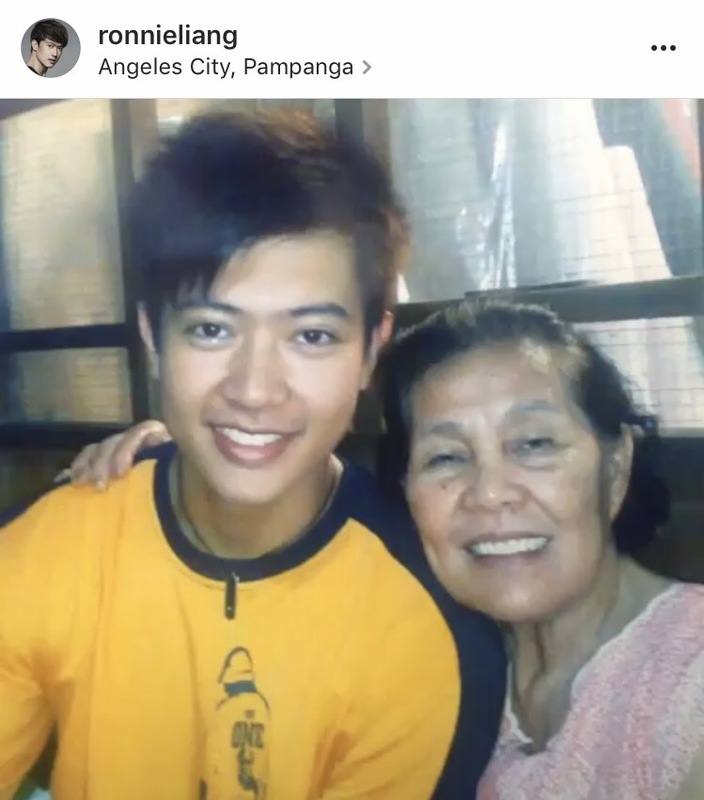 The Pinoy Dream Academy season 1 finalist Ronnie Liang & a viva talent is busy on his acting/singing career, he is one of the casts of “100 Tula ni Stella” a movie starring Jc Santos and Bella Padilla which is one of the entries for the Pista ng Pelikulang Pilipino (PPP). He also appears in the movie of Ella Cruz and Julian Trono “Fan Girl/ Fan Boy”(viva films) showing this coming September 6. This August 5, he will be at Angeles City,Pampanga as one of the guest artists of jadineliveinpampanga and Sarah Geronimo “ The Great Unknown” concert on August 25 at Iloilo City. Currently he released his new song” Nag iisang Ikaw” on airwaves and is gaining positive feedbacks and soon will release his music video on Philippine music channels. 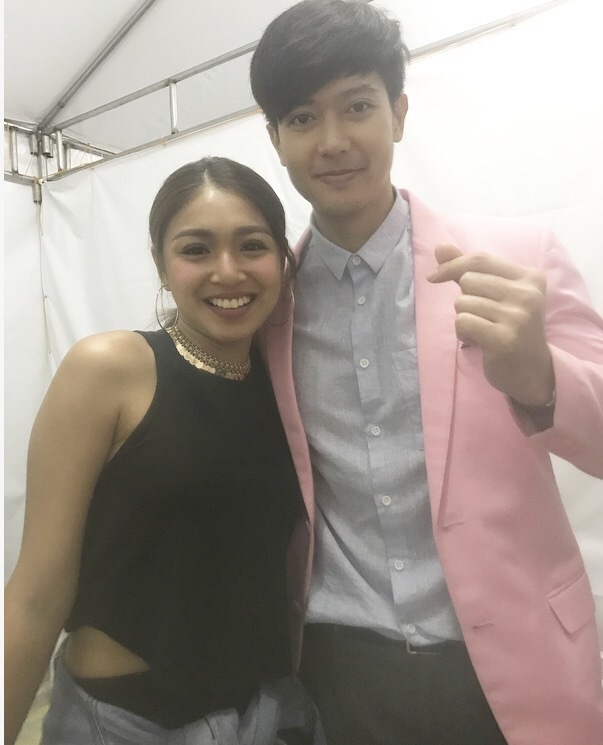 From Left: RonnieLiang, Nadine Lustre, James Reid (jadine) & Bret Jackson. 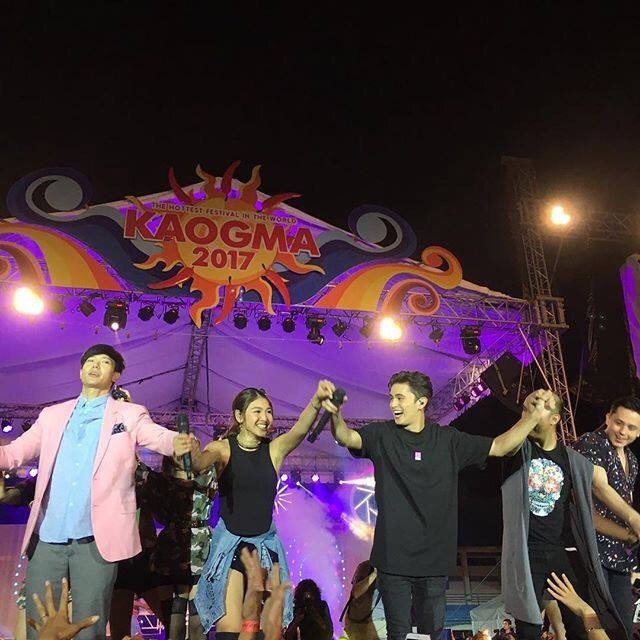 Viva Stars James Reid, Naine Lustre (Jadine), Bret Jackson, RonnieLiang, PopGirls, Gforce & chad kinis Open Kaogma2017 last May 20, 2017 Saturday at Camarines Sur Freedom Sports Complex. 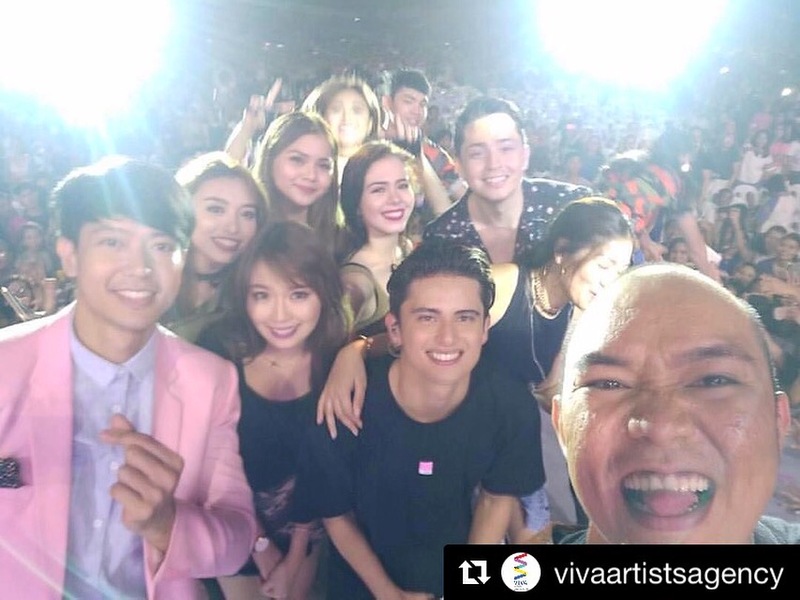 Viva Stars took a Selfie on stage: James Reid, Naine Lustre (Jadine), Bret Jackson, RonnieLiang, PopGirls, Gforce & chad kinis. 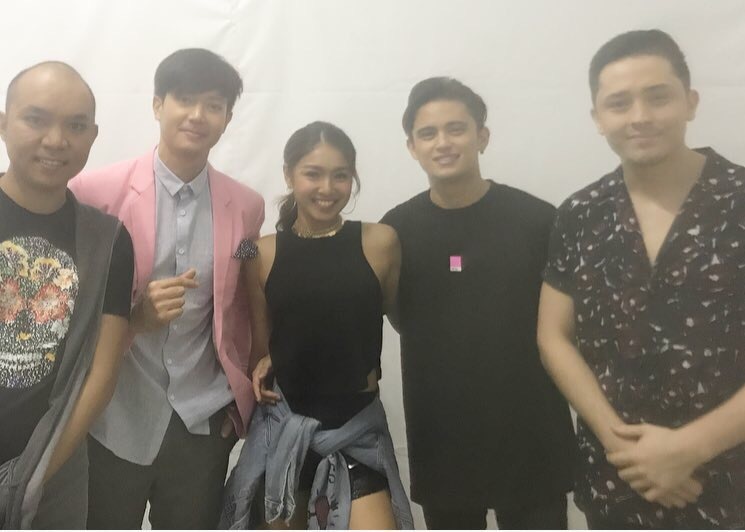 From Left: Chad Kinis, Ronnie Liang, Nadine Lustre, James Reid & Bret Jackson. 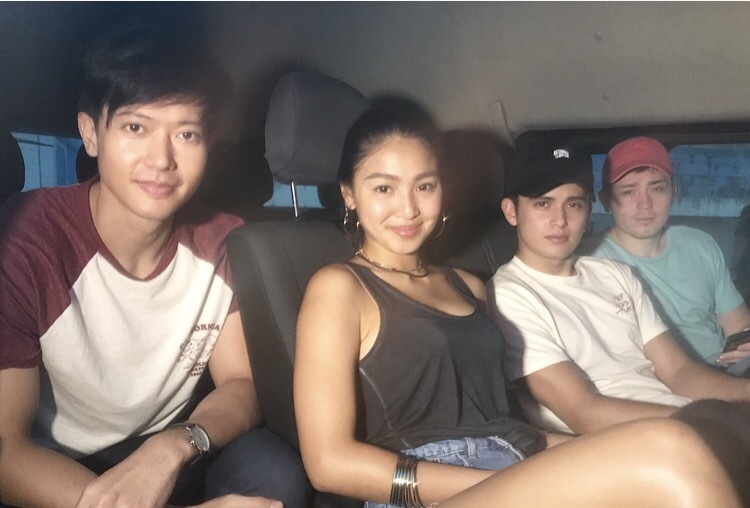 From Left: Ronnie Liang, Nadine Lustre, James Reid, chad kinis & Bret Jackson. 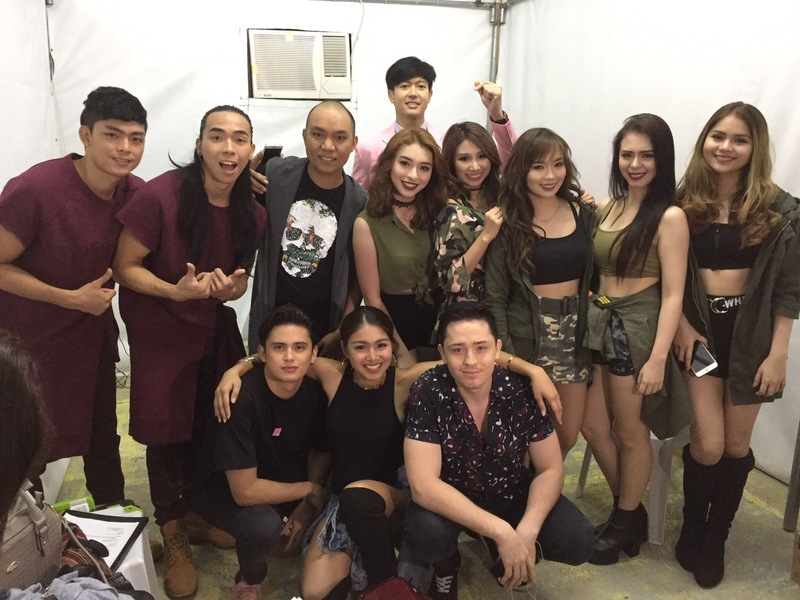 James Reid, Naine Lustre (Jadine), Bret Jackson, RonnieLiang, PopGirls, Gforce & chad kinis. 1. What do you miss about your mom?.I really miss her. I miss her whenever i visit our house in pampanga – the house that i basically built for her. I would always recall how she would hurry (in her wheelchair) to welcome me as soon as she hears my car parking in front of our house. I happily recall how she would gleefully smile while waiting for me to alight the car and give her a hug. It feels like fiesta for she would always cook my favorite dishes like sinigang, suam na mais & monggo soup. i will definitely miss her calls. She always calls me whenever she sees me on tv, especially my music videos. I know that she’s very proud of me. 2. How would you describe your mom? My mom is the best. She always endures all the hardships in her life without complaining. Though she had gout arthritis on her right knee, she never fails to take good care of us, the house, the family. She is selfless. I remember how she would nit pick on cleanliness in the house. It is really important to her. 3. What are her traits that you find endearing? Our house help shared to us after our nanay died that she would regularly call all of us just to check how we are doing. She would always worry about all of us. But whenever she feels under the weather, she would never tell us anything about it because she doesn’t want any of us worrying about her. 4. How would you describe your relationship with your mom? I am the youngest of the 7 siblings & i am really close to my Nanay. I would say i’m a momma’s boy. I want her to always be healthy that’s why i never failed to refill her maintenance medicine and always remind her to take all her vitamins regularly. I remember one time when i was still in grade school, I overheard our landlord in our former house wanting to evict us for we cannot pay the rent anymore. It was heartbreaking for my parents. I would see my mom crying in her room and praying. That moment, i said to myself that when I grow up and have a stable job, I would build a house for my mother so she wouldn’t worry anymore. And that’s exactly what I did when i got my first paycheck in showbiz. It was so painful, my heart was so broken. I can’t describe the pain, I was hoping that it was just a bad dream and that when I wake up, it’s all gone. I couldn’t bear the thought that she was gone. 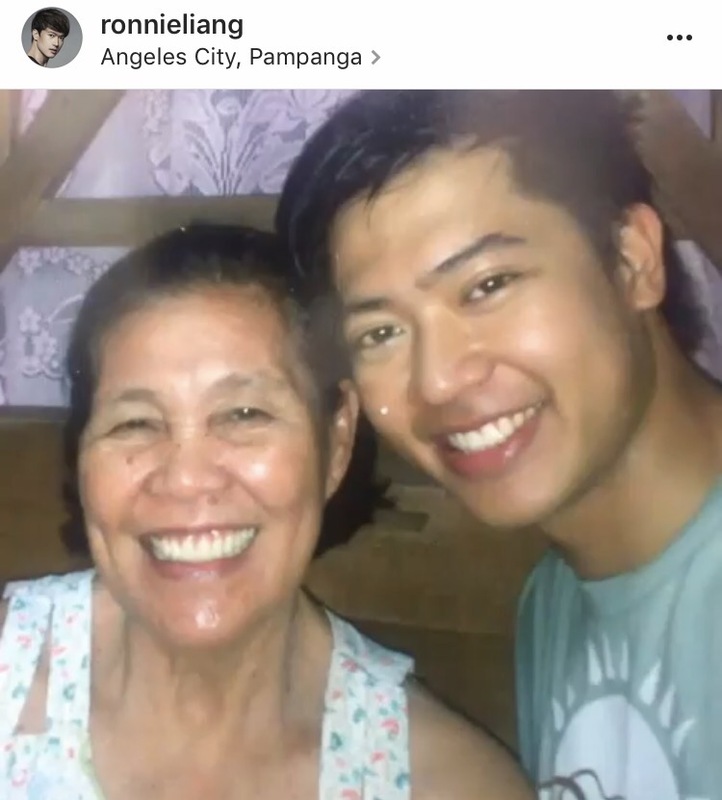 I saw her at the ICU when the doctors were reviving her, they did CPR & i was shouting “nanay, gumising ka!” It happened last february 26 2017 I was in manila then due to work & was informed by my siblings that my mom was at the emergency room and transferred to ICU at Angeles University Foundation Medicall Center due to low blood pressure (70/40) and the doctors diagnosed her of Community-Acquired Pneumonia (CAP). And the bacteria was so potent that it spread through out her system which caused multiple organ failure. Everything was so sudden. I remember she called me 2 days before that fatal day, asking me if i ate my lunch already and if I have laundry that need to be washed. We were laughing and teasing each other. And she told me that she saw my music video on tv. My three other siblings told me she was still conscious when they brought her to the hospital and that they even joked and laughed to each other. 6. How did you cope with her death? It is not easy. I always ask God to give me the strength and courage to accept my mother’s fate. Even though I am on the process of healing & have decided to move on, somehow, I cannot avoid thinking of her specially when i hear her favorite song, when I eat dishes that she would always cook for me; whenever I see people enjoying their time with their mom, I feel jealous. I always ask God to grant me the grace of courage and strength to accept the fact that my nanay has passed on already and that she is happier now. I always think that mom is in a good place now, a place with her creator, a place that is free from pain and suffering. And i know she is happy in there watching over us. And I would find comfort and solace in that. 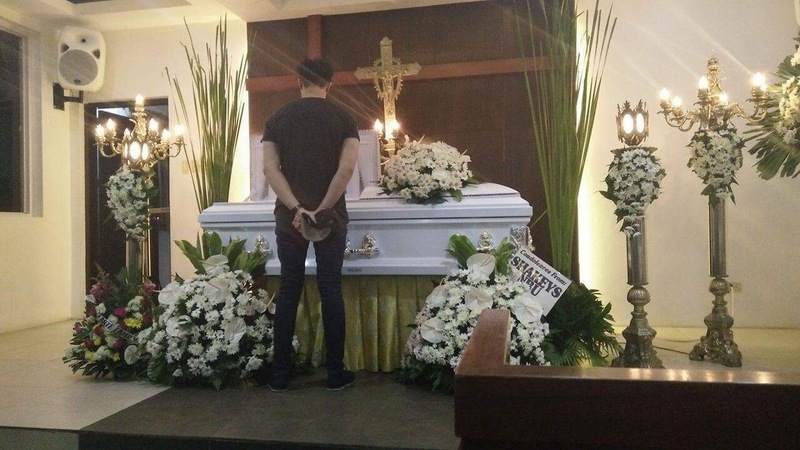 Ronnie Liang during the wake of his mom. 7. How do you keep her memory alive? 8. How will you celebrate Mothers Day this year? 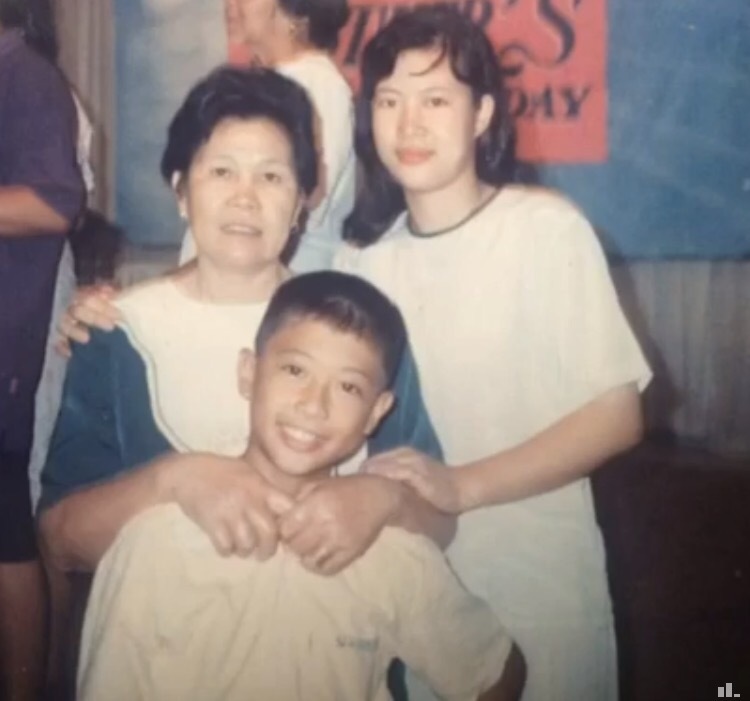 It’s gonna be the first Mother’s Day celebration without her. and I guess it would be very much different this time. Before, I would always go back home in Pampanga and celebrate it with her. But life has to go on. She had always showed us to celebrated life and surround ourselves with the people we love and who love us. This year, I want to pay it forward and make other moms happy. 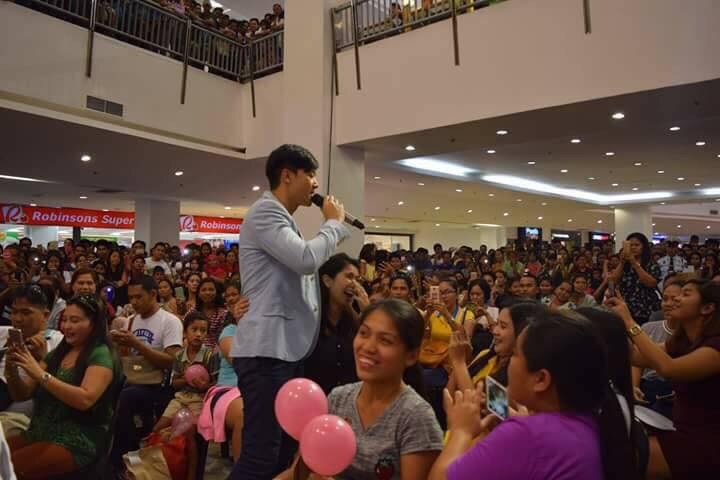 I will have a show on May 14, 3pm at Star Mall Alabang to celebrate Mother’s day. 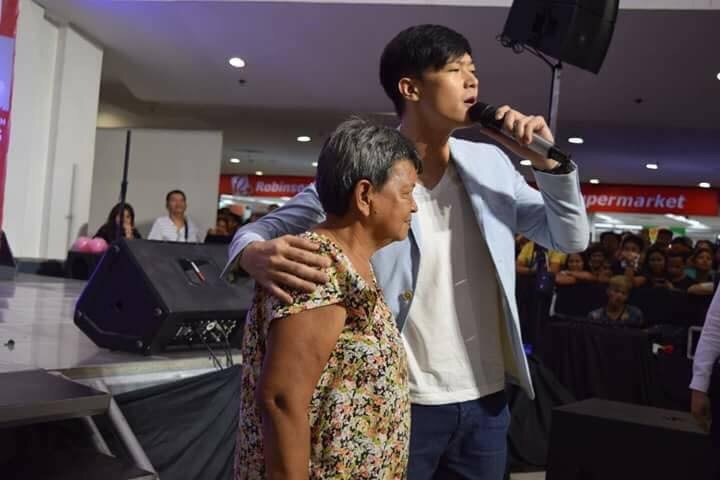 Ronnie Liang spent Mother’s Day at Star Mall alabang to celebrate Mother’s Day, serenaded his audience specially the mothers. 9. What are your songs that you wishes to dedicate to her? You Raised Me Up. It’s one of her favorite songs and it was my audition piece as well when I auditioned for Pinoy Dream Academy.I believe she was one of the reasons why i got in. Second is Iingatan Ka, I made a cover of that song and released the song online as a tribute to her. Third is Salamat sa Iyo Ina, our original composition during the Pinoy Dream Academy. 10. What her the lesson she passed on to you? What are the things she constantly wants you to do? She always tells me the phrase ” Daig ng taong maagap ang taong masipag” and i will never forget it. Her examples, her legacy. Like any typical moms, she would text or call me just to remind me to eat healthy and on time. 11. What is her full name? What is your dads name? Hows your dad? My dad is Rogelio Castro Liang. Dad is doing okay. 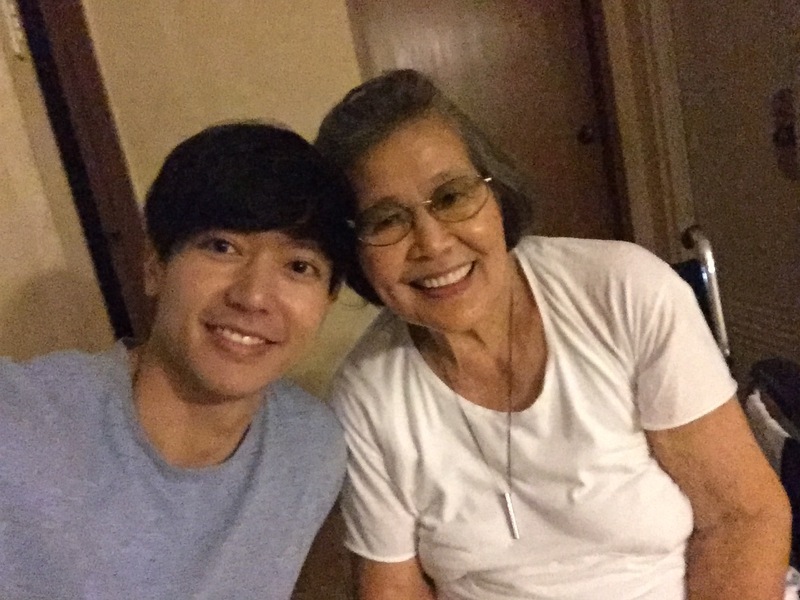 Somehow, whenever I visit him in Pampanga, i could feel his longing to my mom. He misses her. I would always encourage him to share to any of us how he is doing or whatever he is feeling. It helps a lot. I really don’t like the idea that people are not open to share what they feel to people that matter to them. Until it’s too late. 12. What are your future projects other plans? Right now, I’m doing a movie entitled FanBoy Fan Girl under Viva Films. It’s an Ella Cruz & Julian Trono tandem movie. I also started shooting 100 tula para kay Stella movie Bella Padilla & Jc Santos and hopefully another one under Viva films. 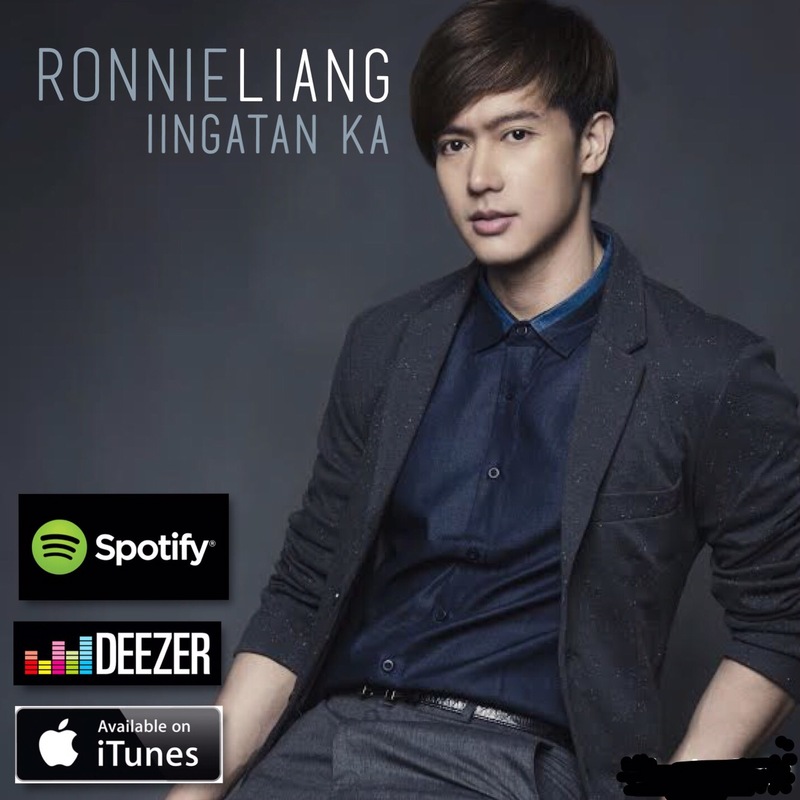 My song IINGATAN KA is now available online in Itunes, Spotify, Amazon and Deezer. I also would like to thank Viva Artists Management, especially boss Vic, Ma’am Veronique, boss Valerie, boss Vincent & Ma’am Jun Rufino for the opportunities and for believing in me. For other updates about my shows and projects then can follow me on my social media account @ronnieliang in RonnieLiang Facebook , RonnieLiang Instagram & RonnieLiang twitter. From Left: Vincent Delrosario, Boss Vic DelRosario, RonnieLiang & Veronique DelRosario Corpuz. Ronnie Liang at the Fan boy/Fan girl movie. 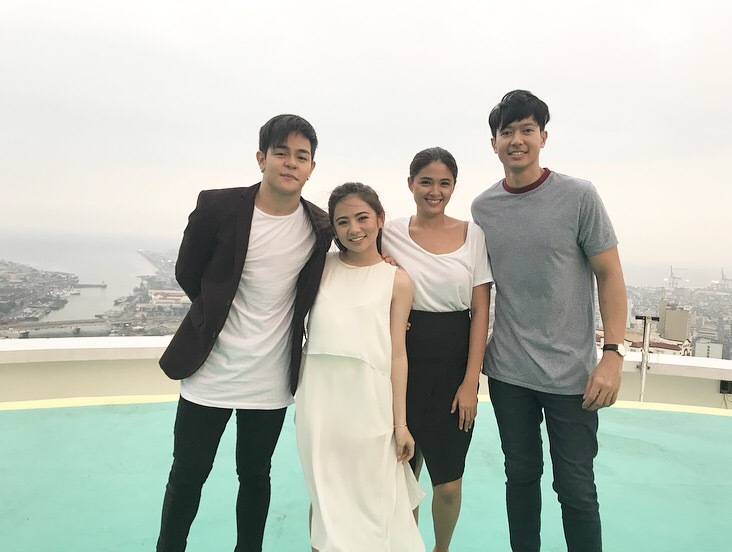 Julian Trono and Ella Cruz will have their First Movie in a leading role which is the FanBoy FanGirl Movie under viva films. 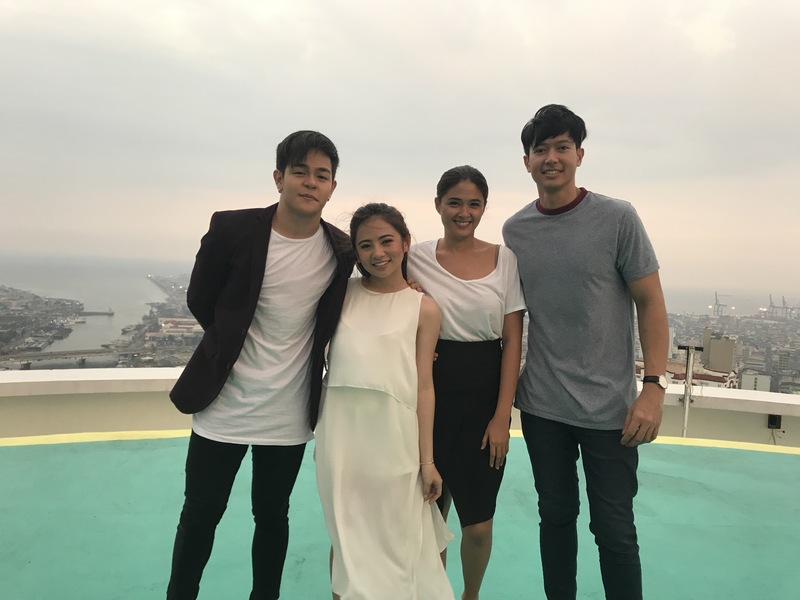 Ronnie Liang and Yam Concepcion will be part of the said movie as well for a supporting role. 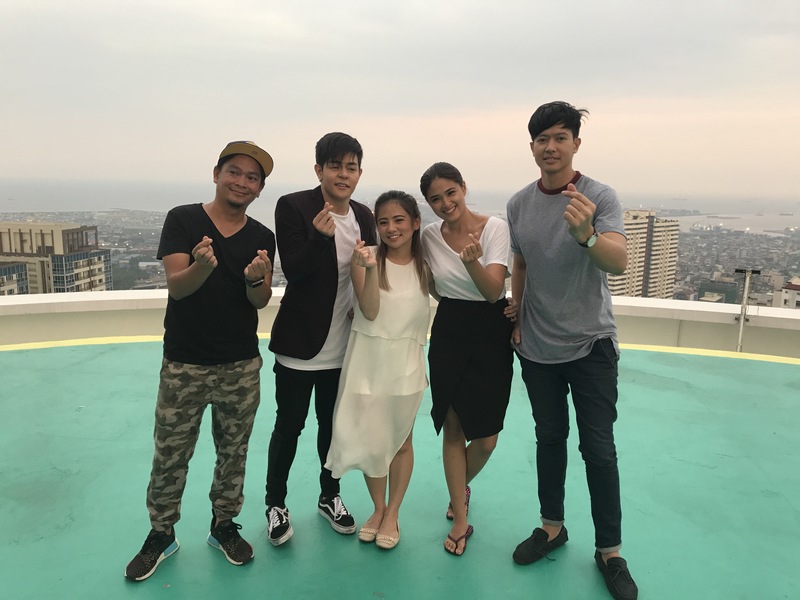 From Left; Direk Barry Gonzales, Julian Trono, Ella Cuz, Yam Concepcion & Ronnie Liang.